A wide variety of industries, including aerospace, defence and material handling, require solutions to limit noise, vibration isolation, and shock. GMT specialises in providing anti vibration products to cater for each industry, offering a range of specialist and bespoke solutions to protect your equipment, vehicles and machinery. These products are a necessity for many companies, and without them, the efficiency of a company and its products can be jeopardised. When it comes to important anti-vibration solutions, most products are made up of rubber. Find out why this is the case and why it is so important to invest in anti-vibration solutions in many industries. What material absorbs vibration the best? Rubber is widely regarded as the best material for vibration isolation, however the type of rubber which should be used will vary depending on the properties of the job. There is a common misconception that rubber only refers to one type of material. In reality, there are many different types and compounds which have been created and adapted to suit specific conditions and applications. The different rubber compounds fall into two main categories, natural and synthetic rubber. Natural rubber is made from latex, a substance originating from plants. Synthetic rubber is produced in chemical plants and laboratories. The difference in how these are produced means that they have fairly different compound structures, which will affect their individual properties. Both types of rubber have their benefits, and GMT will use both natural and synthetic rubber, depending on the use and requirements of each product. Our natural rubber features excellent resilience, as well as fantastic surface friction and abrasion properties. We source our rubber latex from rubber tree plantations across the globe, helping us to find the best quality product for consistent results. When we receive the latex, our team will compound it, using our high tech systems to ensure consistent results. We can choose your specific rubber type from thousands of combinations, using our knowledge and expertise to achieve the perfect anti vibration material for your particular requirement. The rubber is mixed by the GMT team, enabling us to control quality and timescale. 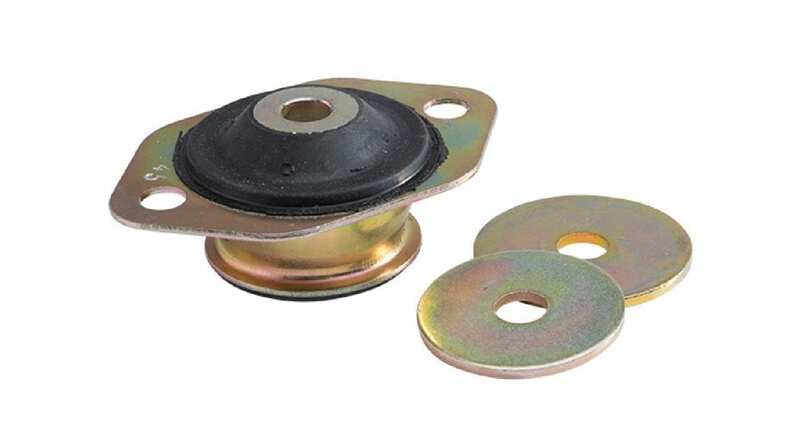 This helps us to deliver your durable anti vibration solution on time without any issues. Why is it important to reduce vibrations in certain industries? Vibrations and shock can cause damage and wear to equipment and machinery across a range of industries. This often leads to a shorter lifespan, a poorer performance and unnecessary noise. In some cases, vibrations and shock can even cause machinery to break, something which could be avoided with the correct anti vibration product. Replacing equipment and machinery often comes with a considerable cost, eating into profit margins and affecting production time and efficiency. Investing in anti vibration solutions will help to keep your machinery and equipment running safely and efficiently for as long as possible, protecting your equipment and helping you to experience the best performance for a considerable length of time. An example of this is our selection of Cone Mounts, which offer a fantastic method of vibration reduction whilst withstanding shock loads. They also have the added benefit of failsafe overload and rebound control. GMT have a variety of Cone Mounts in stock and also offer custom solutions to suit individual requirements. GMT have many years of experience in producing innovative new solutions, and we love a challenge. If you would like to learn more about our anti vibration products, please don’t hesitate to get in touch with a member of our knowledgeable team today.